* Putting it in a variety of containers and sorting it on the kerbside (kerbside sort). 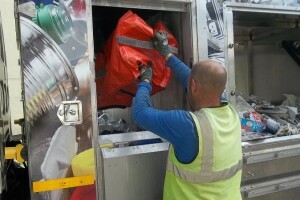 * Putting it all in one container and sorting it at a recycling facility (co-mingled). It costs less; it creates more jobs and it’s better for the environment. * If we collected all materials in one container we would have to send them to be sorted. * Sorting facilities (MRFs) charge on average £35 per tonne to sort materials they take from councils. We do not have to pay those fees. * We could build our own sorting facility, but these cost millions and have huge running costs – hence these MRFs charge £35 per tonne to take in materials. * We sell 99.97% of the materials we collect. This generates up to £1 million every year, helping pay wages and reducing the cost to Newport City Council. * If we collected all in one container we would not only lose this income but we would also have to pay someone to take the materials away (see above). * We sell all materials collected to companies based in the UK. We get the best price for our materials because they are regarded by buyers as top quality. * If we sent these materials to an energy from waste plant they would charge us £75 – £105 per tonne (at least £1.1 million per year extra expense for the council). 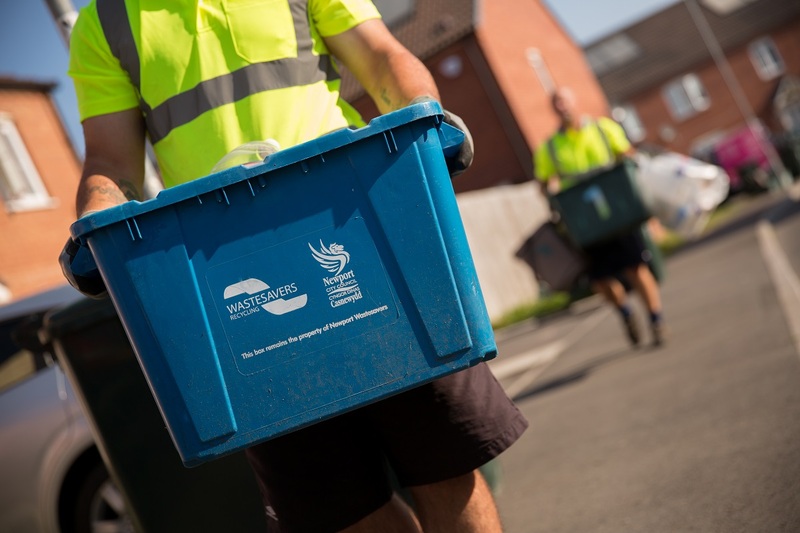 * If we sent these materials to landfill it would cost £80 – £125 per tonne (at least £1.4 – £1.8 million per year for the council) plus a hefty government fine for every tonne over the recycling target. * Being labour intensive. Creating and maintaining jobs here in Newport is important to us and the local economy. * Selling all our materials to UK based industries. This helps create and maintain jobs in other parts of the UK. * 99.97% of what we collect gets recycled. * We can also tell you exactly where your materials are reprocessed. Once materials “sent for recycling” leave the UK or northern Europe it is almost impossible to tell where they end up. 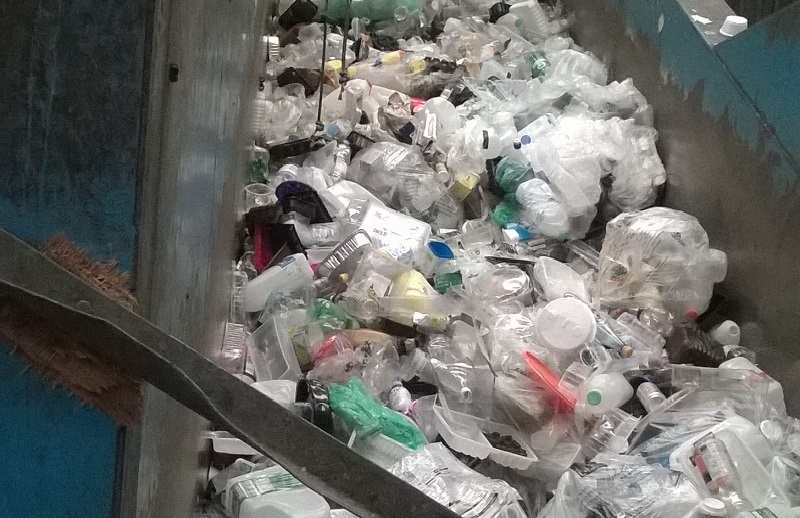 Left – Recycling coming into our yard – clean and ready to go. * As little as 77%* of what is collected through a co-mingled system is “sent for recycling”, and frequently even less is recycled. * Take paper, for example. Paper from mixed collection systems is such poor quality that paper mills have built extra sorting facilities to clean the material being delivered to their doors. They therefore reject a significant amount of paper that collected co-mingled but this is not recorded in recycling figures. 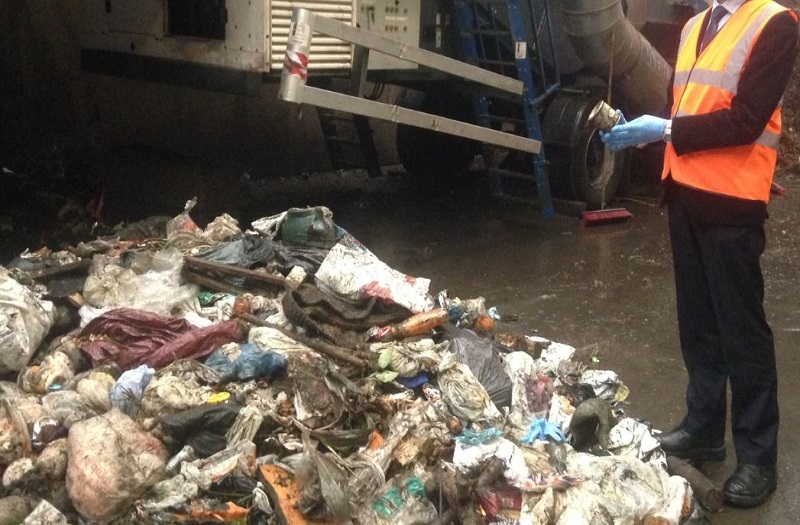 Right – co-mingled recycling – heavily contaminated. * Reduce (consumption) then, if possible, re-use; then recycle and as a final option recover (the energy). Incinerators are not very efficient at recovering the energy locked up in these materials. * It would also cost us £70 – £100 per tonne to send these materials to an incinerator / energy from waste plant – at least £1 million per year extra cost for the Council. 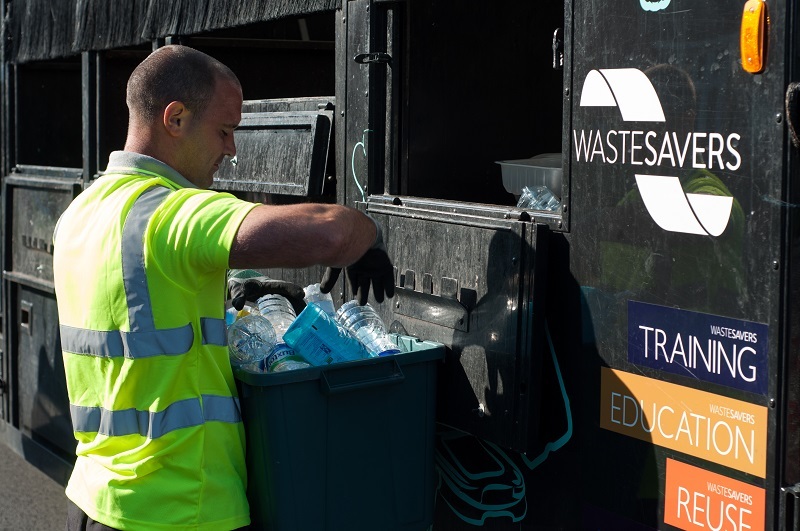 Wastesavers is a social enterprise – a charity run like a business. Our priority is social, environmental and economic sustainability rather than profit.